Libyan Islamist cleric, Ali Al-Sallabi, said at a meeting late on Sunday that included supporters and opponents "We call for a moderate Islam. But you all have to understand that Islam is not just about punishment, cutting hands and beheading with swords." Though he has no formal political role, Al-Sallabi has become a hugely significant voice in Libyan affairs because he is close to the government of Qatar, an influential backer of interim rulers the National Transitional Council (NTC). He also is a close associate of Tripoli's military commander Abdel Hakim Belhadj, a rising -- and increasingly divisive -- Islamist figure in post-Gaddafi Libya. Some Libyans, including several at the meeting, suspect that Al-Sallabi favours introducing a strict form of Islamic law, or sharia, in a country that has long disavowed militant Islam. Qatar is a super-rich nation with a tiny population of about 350,000 nationals living under conservative Islamic rule. Its role in the region dwarfs its population, including giving financial and military support to the war on Gaddafi. Since the fall of Tripoli on Aug. 23, Sallabi has emerged as a prominent spokesman for groups of Islamists unhappy about what they see as attempts by some NTC leaders to exclude them from political life. It was not clear whether he was back in Libya permanently or would return to his temporary base in Qatar. 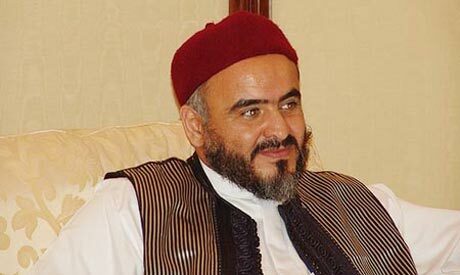 Sallabi, who was jailed by Gaddafi in the 1980s for opposition activities, said that though Islam and politics could not be separated in Libya, he had earned his public voice only because he was a Libyan citizen. "I believe that Islam covers all, including politics," he said. "In the past we were deprived from implementing the principles of Islam. I am a religious person, I am also a Libyan citizen. I have my say with regard to the political issue." Several members of the crowd -- some of them Islamic scholars -- berated Al-Sallabi, telling him that religious leaders had no place in politics. "The Islamists are a political group that has used the religion as a reference and turned it into an ideology," Faraj Aby Al-Esha, a longtime critic of Gaddafi who has also recently returned to the country, told Al-Sellabi. "The political game depends on lies, conspiracies, and deception. Forcing religion into this game is a serious issue." The NTC has been at pains to assure its Western allies that Libya will not become a centre of militancy now that anti-Islamist leader Gaddafi has gone. Its leaders say they will hold elections and build a democratic society, which though based on Islamic law, will respect civil and individual rights. Several Libyan analysts say they are worried fault lines are opening up between the Islamist-run Tripoli Military Council, which has nominal control over the city and is also believed to be backed by Qatar, and groups loyal to interim Prime Minister Mahmoud Jibril, a Western-trained technocrat who Al-Sallabi has called on to resign. Al-Sallabi told the meeting he had lambasted Jibril only because of his "professional capabilities and performance", not because he did not share his religious views.